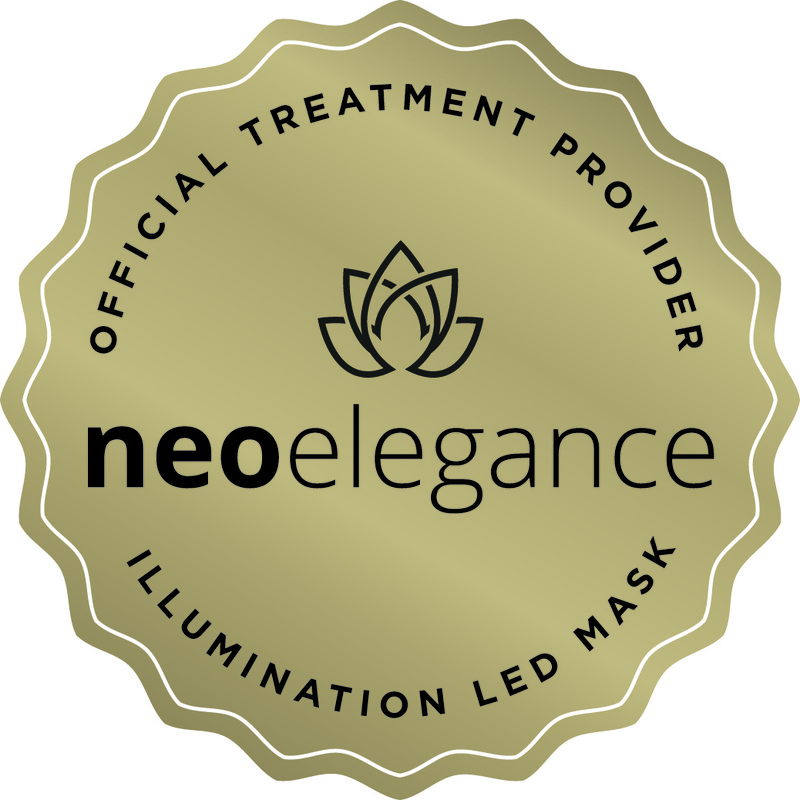 We are very excited to be a certified treatment provider of the new elegance illumination LED mask. LED treatment is becoming very popular and works by utilising wave lengths light to treat certain skin conditions. Blue light energy is used to kill the main bacteria that causes acne therefore reducing breakouts oil production and spots. The red light is used to increase elastin regeneration, encourage collagen stimulation. It’s also brightens, tightens whilst reducing fine lines and wrinkles. 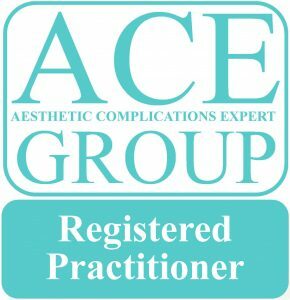 The near infrared light is the most deeply absorbed wavelength which works to accelerate wound healing within the skin , helping skin regeneration and reducing pigmentation. This luxury treatment is the ultimate rejuvenating boost , giving you a cocktail of treatments to quench skin. The blend of five treatments leaves your skin with a noticeable glow , looking and feeling softer, brighter smoother . 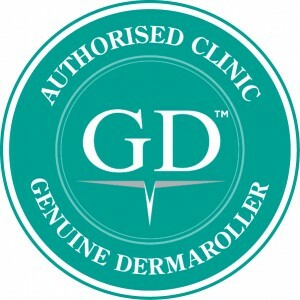 There is no down time with this treatment which takes 50 minutes. 1: Microdermabrasion to exfoliate and polish the skin. 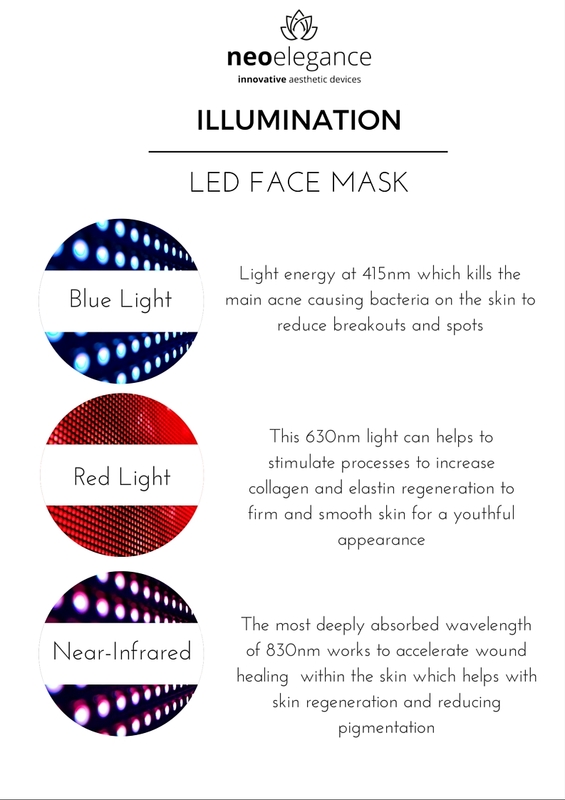 2: LED: transforming the skin from within, the chosen wavelength is carefully selected for your skin offering , brightening , hydration , reduction in spots and redness , skin firming stimulation of collagen and much more. 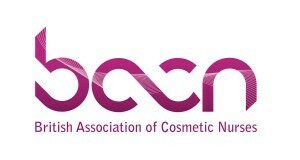 3: Mesotherapy: the skin infusion / cocktail is placed very superficially into the dermis via gentle microneedling to target many aspects anti-aging requirements and stimulate collagen. 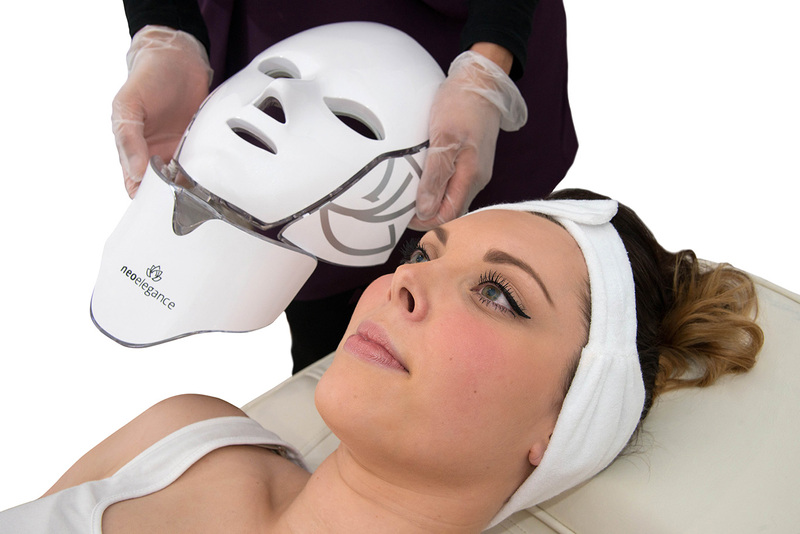 4 & 5: to finish the treatment a carefully selected sheet mask will infuse serums into the skin. 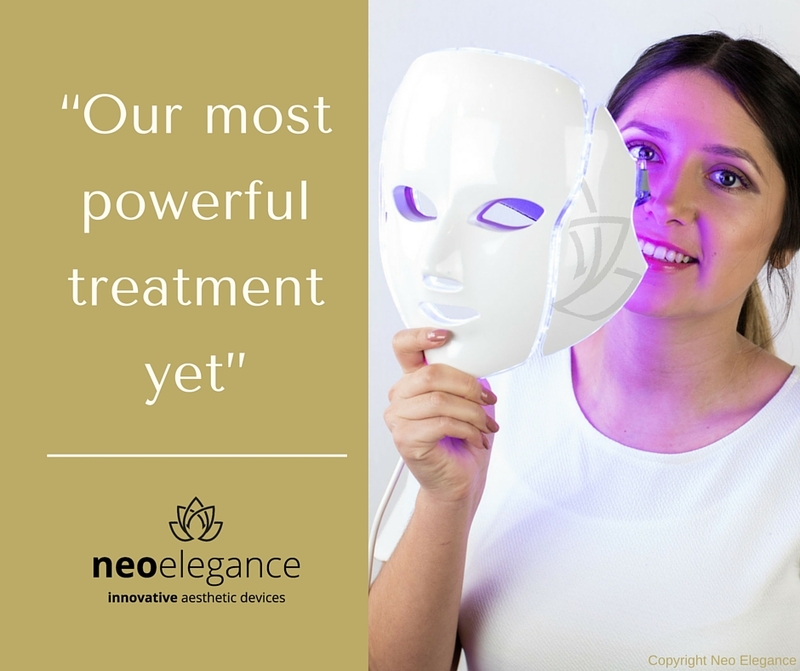 The Neo elegance facelift pro combines electrical muscle stimulation and massage , this is used on top of the sheet mask to stimulate muscle tightening and push serums even further into the skin.